Woohoo….today I’m allowed to tell you my secret…. I’m taking part in my first ever bee. An international mystery bee no less. How exciting – and scary – is that? 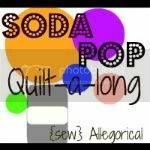 I was asked to take part – along with a group of other quilting bloggers from as far afield as the US, Morocco, the UK and the Czech Republic – by Di from Random Thoughts Do or Di – and if you take a look here you can see what we’re all going to be getting up to! 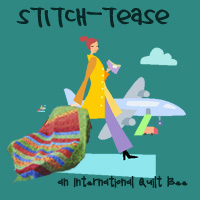 I think it’s going to be a lot of fun – and I’ll be introducing you to my fellow Stitch Teasers very soon! This entry was posted on Wednesday, February 29th, 2012 at 5:42 pm	and is filed under Quilting. You can follow any responses to this entry through the RSS 2.0 feed. Both comments and pings are currently closed. This is a nice introduction to our bee. Can’t wait to get started. Yay, this is going to be so much fun! Super happy to be in the hive with you Helen! I believe there’s some really nice people in this bee!